PROJECT DESCRIPTION: Complete bath rehab. 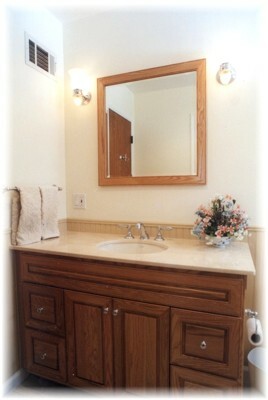 Scope of work consisted of, but not limited to: All new fixtures, Whirlpool, vanity, marble countertop, custom mirror, tiling. All new electrical, lighting, plumbing, heating and ventilation, painting. 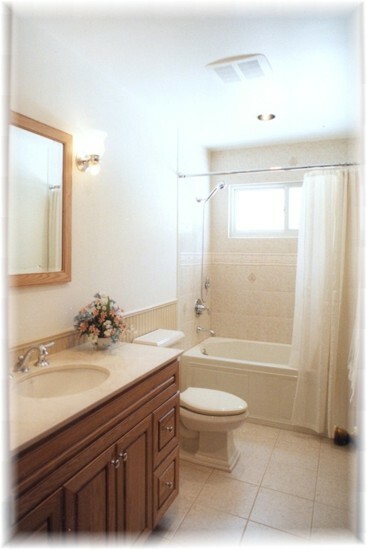 CLIENTS COMMENTS: "Thanks Sylvain--I am enjoying my bathroom so much, it's now my favorite room in the house. It was a pleasure working with you and I especially appreciate your communication and responsiveness. I wish I could afford to have you redo my kitchen :)."